It’s never too early to start panicking for the nation’s premier Halloween event: Halloween Horror Nights 2019. On these pages, you will find all the information and insider secrets you need to survive the terror – as well as our very best expert advice on how to save time and money as you face your worst fears. 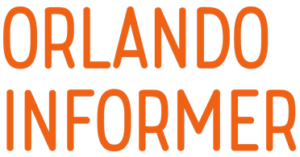 Orlando Informer is proud to provide our fans with the world’s most popular unofficial guide to this year’s Halloween Horror Nights event. Just like the entire OI Universal Center, our information is comprehensive, obsessively updated, and completely free. We hope you will use all the wisdom we’ve gained over the years to make sure your family’s HHN trip is one night you will never want to forget! Once you’ve read through our complete overview of HHN, use the navigation links at the top or bottom of the page to learn so, so much more. Think you have what it takes to survive the biggest names in horror and venture through original, twisted nightmares? Now in its 29th terrifying year, Universal Orlando Resort’s Halloween Horror Nights, the nation’s premier annual Halloween event, puts you right into some of the most pulse-pounding moments in horror history. During the day, you can experience the fun and excitement of Universal Orlando’s two amazing theme parks (and new water park!). 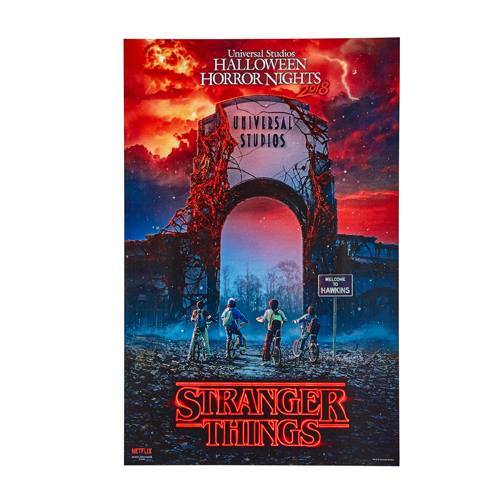 But on select nights from September 6 through November 2, 2019, the streets of Universal Studios Florida come alive with hordes of horrifying mutants, monsters, and maniacs – all throughout the night, you’ll be completely immersed in the worlds of the biggest names in horror. 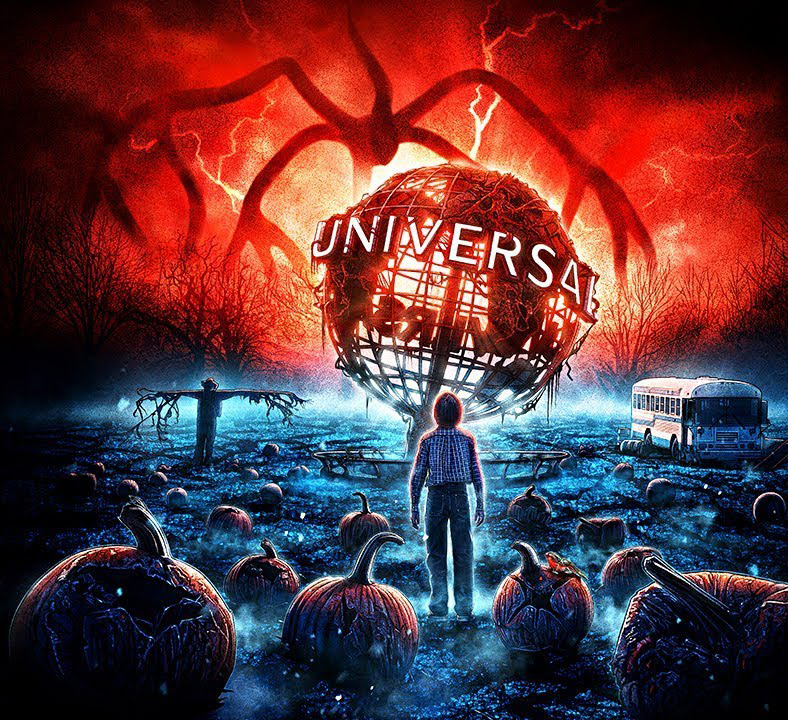 With 28 years of experience to draw from, nobody creates a more nightmarish Halloween event than Universal, filled with truly original scares and authentic horror-movie moments. You can explore terrifying haunted houses, each remarkably themed and detailed by Universal’s designers and special-effects wizards. You’ll make your way through multiple scare zones, where gory and grotesque creatures lurk around every turn. You’ll roar with laughter at outrageous live shows. And you can experience many of the park’s most exciting rides and attractions, to boot. Halloween Horror Nights is an 11-time winner of Amusement Today’s “Best Halloween Event” Golden Ticket award. Tony Timpone, editor of Fangoria magazine, said, “After visiting scream parks all across the US for the last 20 years, I can easily say that Universal’s is the best in the business… Halloween Horror Nights is the ultimate Halloween experience.” And the 29th edition of this must-see event promises to bring to life the ultimate in scares past, present, and future. What are the dates of this year’s event? So, how busy will Halloween Horror Nights 2019 be on ____ night? Since this is the most common question we receive, we wanted to answer it right away. To put it more generally, always expect Saturdays to be busy throughout the entire run of the event, while, on the other hand, Wednesdays and the first two weeks tend to be some of the least-crowded nights. 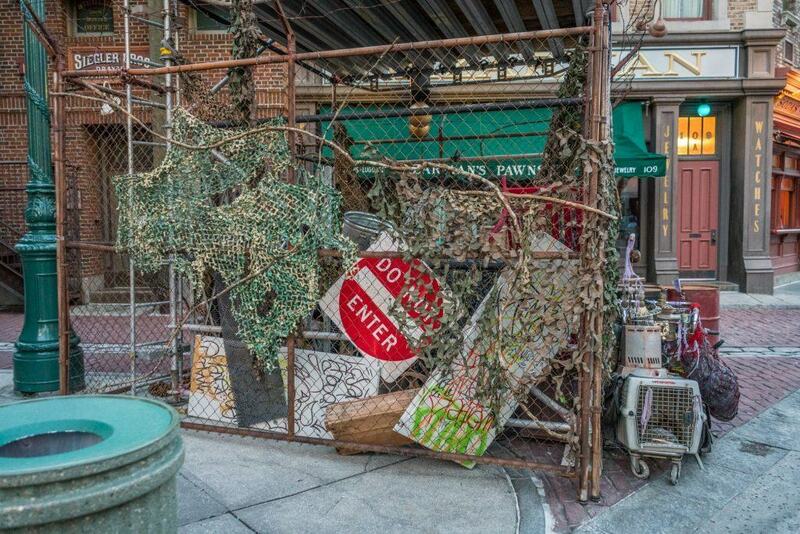 Will Diagon Alley be open during Halloween Horror Nights 2019 event nights? 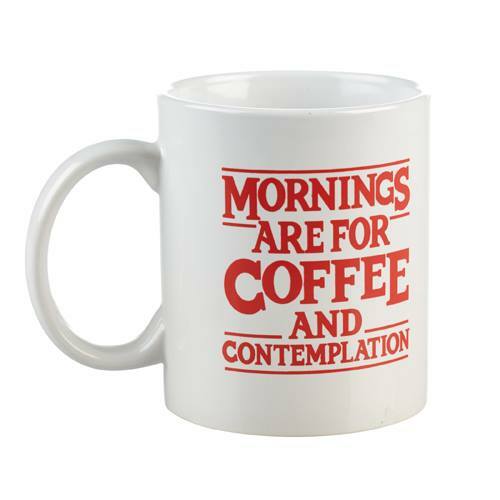 We think so, yes, although we’ll need to wait on official confirmation from Universal, of course. But for the past four events, The Wizarding World of Harry Potter – Diagon Alley has been accessible to guests during the scare fest, allowing visitors to ride Harry Potter and the Escape from Gringotts and check out all of the various wizarding shops. Just don’t expect the area to have any decorations – or seasonal alterations of any kind – up, whether it’s open or not. 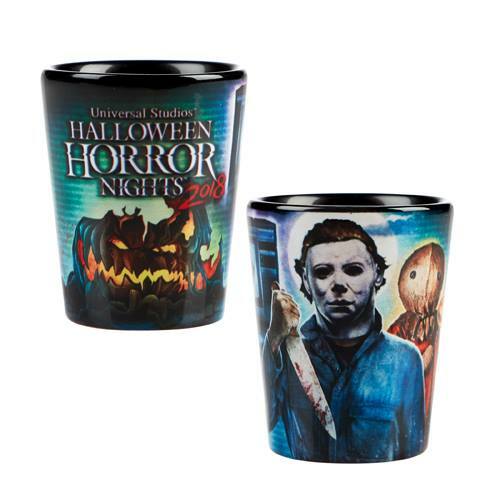 What is the Halloween Horror Nights 2019 theme? We don’t know yet! Check back soon. How many haunted houses and scare zones will there be? For the second time in a row, there will be an absolutely mammoth 10 haunted houses – the biggest lineup in Horror Nights’s entire existence. 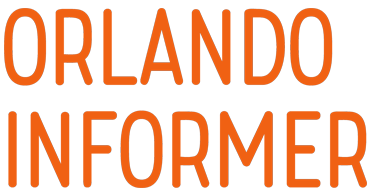 Universal has also confirmed a grand total of five scare zones, which has been the standard number for the past few years. I want to read the review of Halloween Horror Nights 2019! Well, sorry – we have to wait until the start of the event for that. But here’s last year’s spoiler-free review to help tide you over. 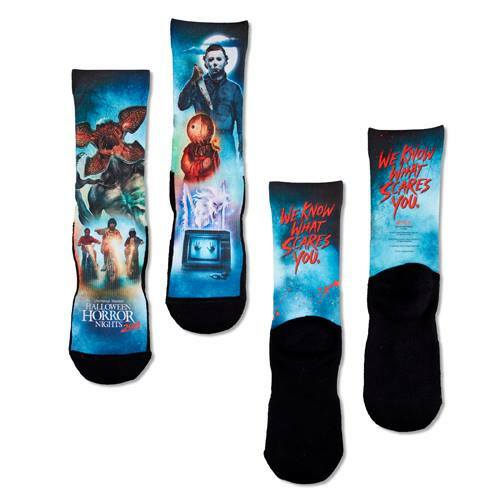 What if I’m not a horror fan? Are you not a horror fan, generally, but are still maybe, possibly interested in heading to the event? It turns out you should be – there’s more than enough to do here to warrant at least a one-night visit. We explore this possibility in-depth in our HHN guide for non-horror fans. HHN haunts are best described as “movie-set quality” recreations of fantastic and fearsome locations. Sometimes referred to as mazes, each house is indoors, often set up in the unused queue area of a daytime attraction or one of the Universal soundstages. These haunts rely on every effect you can imagine to scare the pants off you, including hideous creatures, blood-curdling sound effects, loud music, tight passages, strobe lights, air bursts, mirror effects, and, of course, very elaborate – and, in many cases, very gruesome – props and set decoration. In general, guests are sent through the houses in a steady flow (sort of like a conga line, versus being “pulsed” through in small groups), and, once inside, each maze is typically a three- to four-minute experience. Throughout much of the event’s history, the haunted houses’ themes have been original creations. 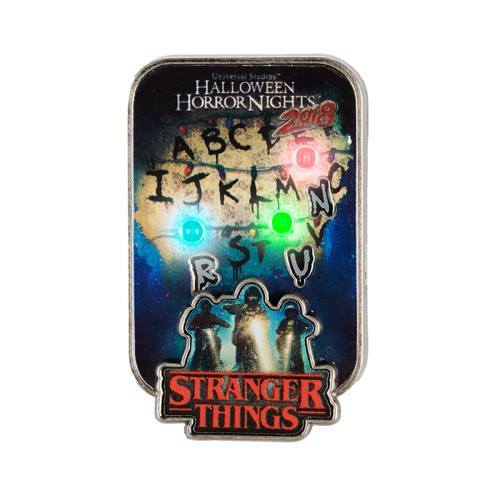 However, in more recent years, Universal has started basing more and more of its Halloween mazes on third-party licenses (often referred to by fans as intellectual properties, or IPs), such as AMC’s The Walking Dead or, more recently, Netflix’s Stranger Things. Although we don’t yet know (obviously) what this year’s breakdown is going to be between the two camps, 2018 saw them split evenly down the middle, with five IPs and five originals. The biggest name from last year’s Halloween Horror Nights is returning, and, in a surprising twist, this new haunted house is going to cover two different seasons from the hit Netflix series (well, certain parts of the two seasons, at least). 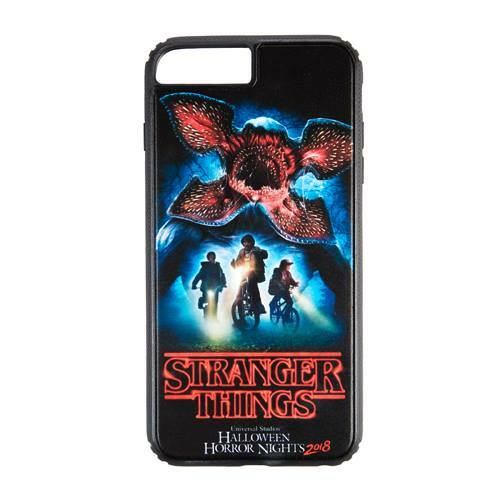 The proceedings start off with Stranger Things 2, the season that dropped in October 2017, hitting such memorable locations as the series of tunnels that now burrow beneath Hawkins, Indiana (it’s been hinted that both Police Chief Jim Hopper and the new swarm of Demodogs will be crawling through them, as well) and Hopper’s isolated cabin in the woods, which has now become the home of the wayward Eleven. 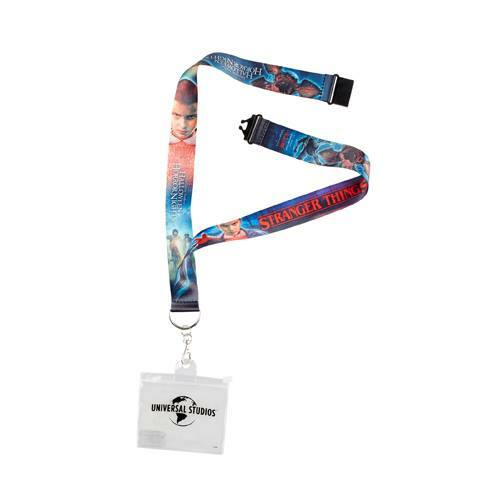 Then things end during the events of Stranger Things 3, which will release this July, moving the action to the brand-new Starcourt Mall (where much of the new episodes take place). Read our full analysis here. The Nightingales – a race of immortal, carnivorous banshees – were first introduced at Halloween Horror Nights 2011, where they were received with much acclaim and fan adoration. They’ve largely been absent from the HHN stage since then, however, leaving many to wonder whether the characters (and their proposed storyline, which could well last for many more appearances to come) had been forgotten by Universal. Nightingales: Blood Pit is set during the days of ancient Rome, in the midst of a marathon gladiatorial spectacle. Guests will have to make their way through the throng of the blood sport as the supernatural creatures attempt to get their fill on the easy prey – and then notice you among their number. NOTE: it’s going to be some time before Universal starts divulging 2019’s specific contents. Until then, we’re going to keep 2018’s information up, just to give you a good idea of what to expect. 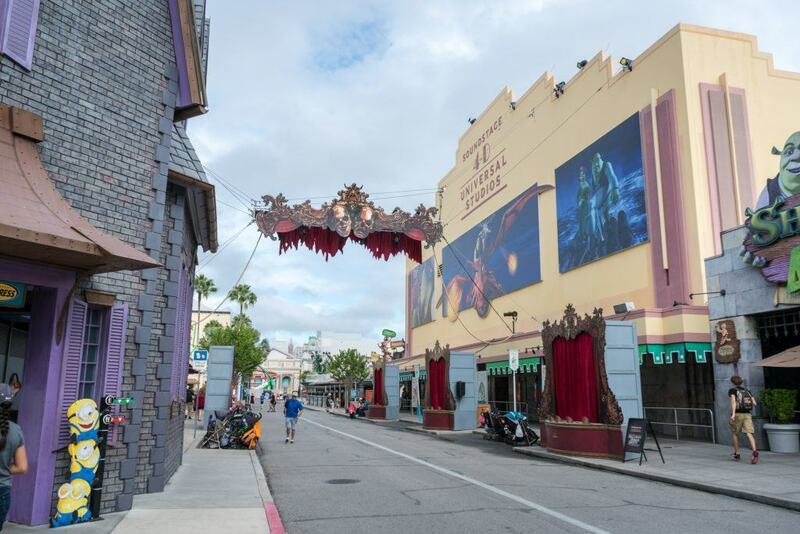 Stopping you mid-breath as you walk between attractions, scare zones are essentially outdoor haunted houses set up in open areas around Universal Studios Florida (for example, in the street area of New York, right in front of Revenge of the Mummy). The decorations and effects are usually not quite as elaborate as the mazes’, but there are still many tricks employed to get screams out of guests – and the “oversized” aspects of some zones, allowed by their position outdoors, often make them as thrilling as the average haunt. This is particularly true for the ghastly part of you that likes to watch other people scream their heads off! For 2018, we have three original scare zones and two based off of IPs – the same ratio that we received last year. Guests will make their way into a sinister barn, which will be outfitted with props and images from each of the 10 haunted houses and which will be populated with “foul and decrepit creatures” that are looking to reap a harvest of – what else? – flesh and screams. (Yum!) If this sounds like more of a photo opportunity than a traditional scare zone – what the zones in this particular stretch of the park have become more and more of in recent years – that’s because it is; even Universal itself refers to The Harvest as a “foreboding photo op.” Let’s just hope that the scares are more pronounced this time ’round. A sequel, in more ways than one, to HHN 2016’s Vamp ’55 scare zone, Vamp ’85: New Year’s Eve continues the fun, nostalgic take on vampires and moves the action to a New Year’s Eve party on December 31, 1984; as the ball drops, Universal promises, a whole slew of different blood-suckers will descend upon you, including ravenous punks, big-haired material girls, and metal heads. Universal’s now-obligatory Jack-o-lantern-infused scare zone, Twisted Tradition puts a – well – twist on the tradition by having the pumpkins be the manifestations of an ancient evil that has been reawakened in Central Park; some of these giant, rotting pumpkins hold human victims, whose decaying flesh has merged with the pumpkins’ guts, resulting in a ghastly visual (and a nifty description!). When combined with the vines that stretch throughout the scare zone, the “beings of blood and vine” that seek out the next round of human sacrifices, and the fact that most of the light in the land comes from the rotting, mutated Jack-o-lanterns, Twisted Tradition should be strong in atmosphere, if not actual horror. 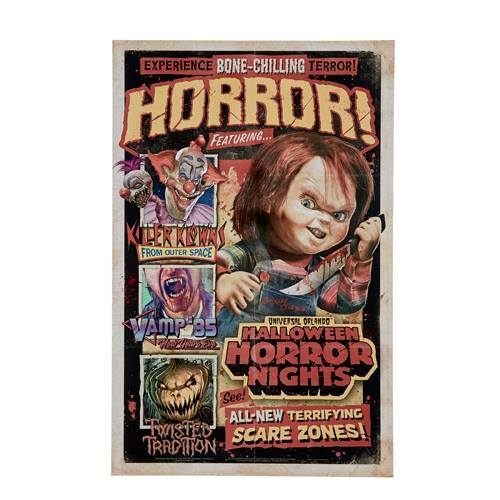 Chucky returns yet again to Halloween Horror Nights, this time as the conductor of a toy fair-turned-bloodbath. A nostalgic assortment of possessed toys will stalk guests down the streets of Universal Studios Florida as the diminutive serial killer looks to finally get his revenge (for what and against whom? It really doesn’t matter!). Read more about Chucky in our in-depth write-up. 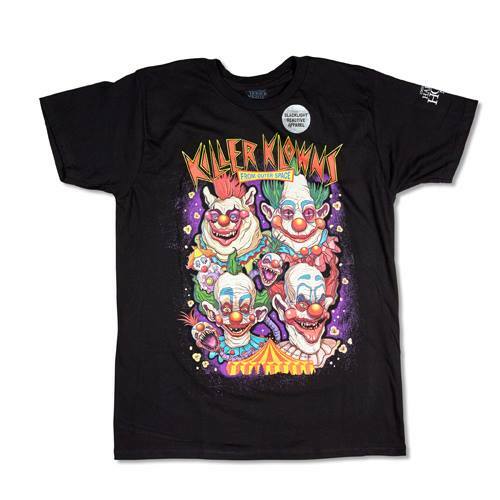 The 1980s cult classic arrives in scare-zone form, as the Killer Klowns welcome you into their big-top tent and attempt to transform you into tasty blood-soaked cotton candy (hey – what else are interstellar carnival clowns supposed to eat?). 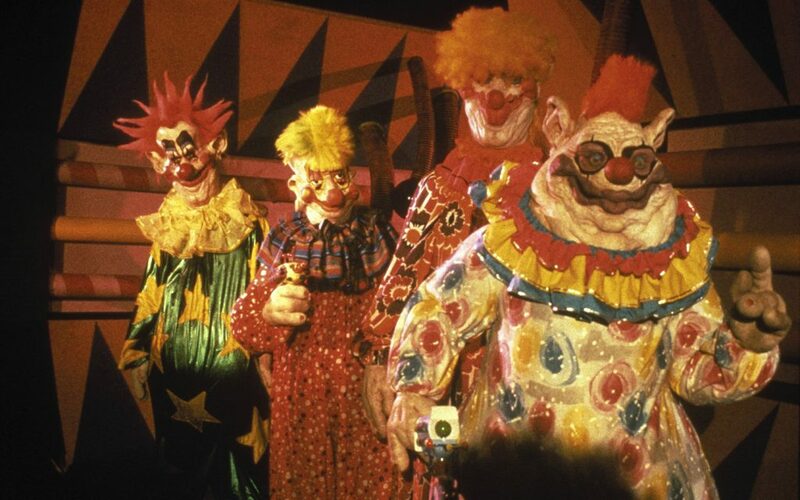 Read more about Killer Klowns from Outer Space in our in-depth write-up. 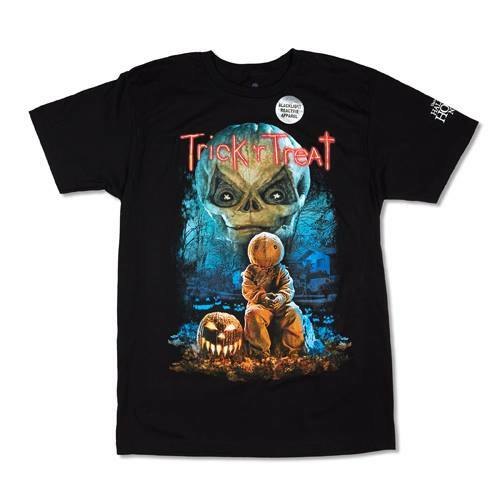 Halloween Horror Nights features unique and outrageous shows each year, typically the only time that attendees are allowed to sit back, relax, and laugh ‘til their bellies hurt. The headlining attraction here used to be Bill & Ted’s Excellent Halloween Adventure, but after an unbelievable 27-year run, Universal pulled the plug on the production in 2017 (you can read our full accounting of the reasons why, as well as a full-on retrospective of the show, in our in-depth feature). The HHN torch has seemingly been passed on to professional dance group Academy of Villains, which puts on a different mind-bending performance each and every year that combines acrobatics, detailed visuals, stunt work, multimedia elements, and “intense” choreography. For Academy of Villains’s third consecutive year at Horror Nights, the dance troupe is taking us back to the ‘80s in style, delivering a show that contains a “wicked” mix of “pounding synths and neon lights.” We say “back,” since the genre of cyberpunk did, indeed, originate in that indelible decade, but, really, this new production is set in the future, when technology has advanced and mankind is struggling to defend itself against its machine offspring. Here’s another distinction that separates Cyberpunk from its two HHN predecessors, House of Fear (2016) and Afterlife (2017): Krystal “Phoenix” Meraz, the co-founder and co-director of Academy, has asked to personally take the stage at Universal Studios Florida. This should make for a spectacle all on its own. Cyberpunk’s showtimes vary depending upon how busy the date is, but the first performance is always either 7:45 or 8:00 pm, while the last is 11:45 on slower nights and 12:45 am on the busier. Be sure to double-check your park guide map when first entering the event. We are now at the halfway point of Halloween Horror Nights 2018 – four weekends in, with four more yet to go. We thought this was the perfect time, then, to take a quick break and assess the different ways to extend the event – or, rather, your participation with and enjoyment of it. 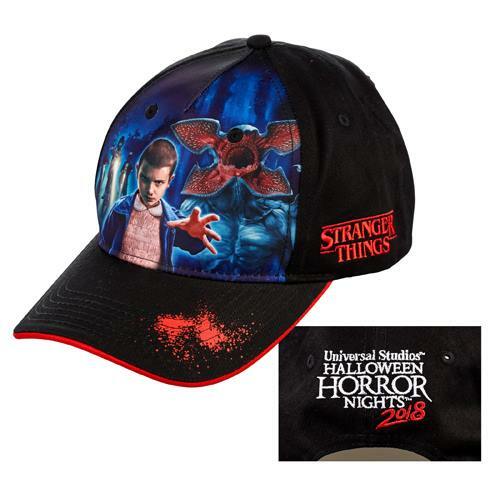 All of this has to do with the various licensed properties that Universal has cultivated this year to round out its HHN roster. Many of these franchises, of course, are still living, breathing entities, releasing new entries or rereleasing older ones in new packages with new goodies tucked away inside them – it’s time to gather these new chapters up and digest them, helping to infuse some new blood, as it were, into the haunted houses and scare zones that you may have grown all too familiar with. But this mini-list isn’t just for locals who make the horror trek every weekend! 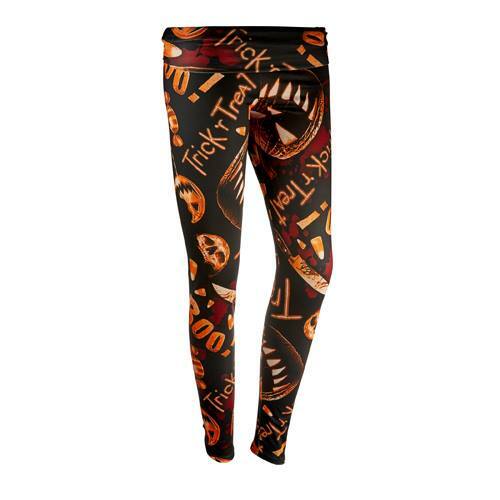 If you have yet to go, think of these latest IP installments as a further whetting of your appetite, and if you have already visited and won’t be able to come back for the rest of the season, then these items serve as the perfect way to relive your spooky encounters with these characters and their settings. Any way you slice it, these continuing adventures are sure to deepen your appreciation of Horror Nights 2018’s absolutely stellar lineup of haunted houses and scare zones. Okay, technically, this graphic novel isn’t, strictly speaking, new – it originally came out in October 2015, almost exactly six years to the day after Trick ‘r Treat was released straight-to-video. Still, many people either haven’t read it or don’t know about it at all, which makes it new to most, right? 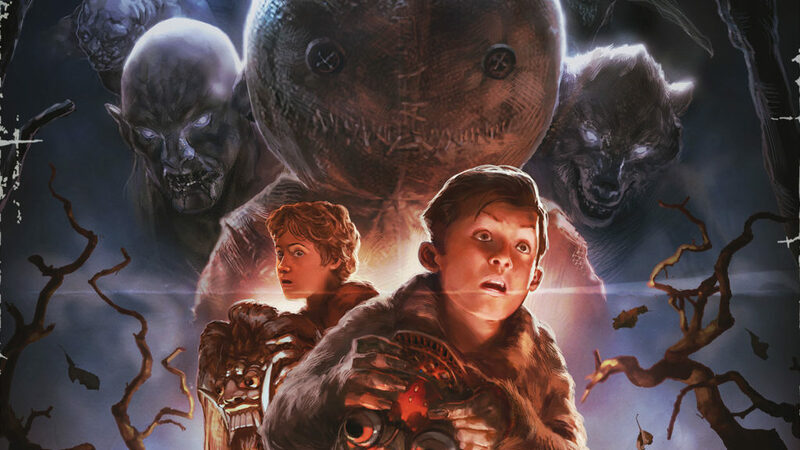 Trick ‘r Treat: Days of the Dead offers four additional stories of Halloween carnage, with the central character of Sam still playing a role in them all (albeit a highly reduced one when compared with the originating film). Using the framing device of a grandfather telling his granddaughter various tales of Halloween hijinks in order to strip away her fear of the holiday and to instead infuse her with its magic, these new Trick ‘r Treat entries really use the comic-book format to great effect, taking advantage of its limitless budget – these new chapters stretch back decades or, even, centuries in time and feature a far larger cast, including literal monsters and demons running amok. Although Sam is more of a specter than a vehicle of either delight or torment, the writing is sharp, the art’s even better, and the whole package really serves as a light extension of the source material – what more could you possibly ask for? Taking place just a decade-and-a-half (or so) after The First Purge (that would be the fourth film in the overarching franchise, which just dropped this past Fourth of July), The Purge’s first foray onto the small screen has been an interesting trip thus far. Following five different story threads across the same Purge night in the same city, the television series takes the time to not only put its characters through more emotional paces, but to also sketch out a whole slew of new responses to or variations on the Purge theme (which only makes sense, given that the season’s some five times longer than one of the standalone movies). As such, audiences get treated to seeing a cult that develops around the idea of willfully sacrificing its suicidal members to Purgers all throughout the night, and “Purge fests” that allow high-paying attendees to off victims in recreations of violent incidents from all throughout history (from the Salem witch trials to the Vietnam War), and reality TV shows that depict Purgers attempting to survive a gauntlet through the inner city, whether they chose to or not (but they can win a car if they survive!). Yes, the series has some pacing difficulties, and, yes, this lone Purge night is stretched to fill out all 10 hours of the first season. Still, there is more than enough here to keep Purge fans of various levels engaged, and we’re cautiously optimistic about how the finale will land – and where a potential second season might go. The Purge premiered on September 4 and will conclude on November 6, 2018. It airs on USA Network (which is owned by NBCUniversal). 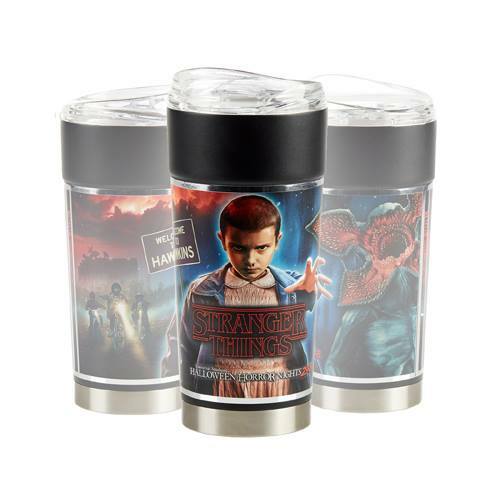 In the longer-than-expected wait for its third season (which won’t likely hit Netflix until sometime in the summer of 2019), Stranger Things is giving its fans something else to look forward to – a Star Wars-esque Expanded Universe of additional stories and releases. 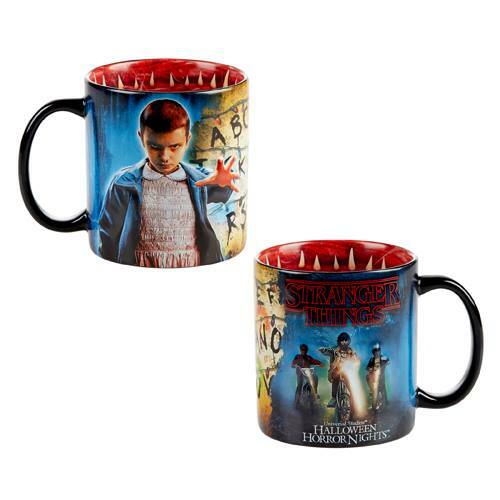 The first of these is a four-issue comic book miniseries simply called Stranger Things, which tells the story of the show’s first season from the perspective of Will Byers as he suddenly finds himself thrust into the parallel dimension that is the Upside Down and hunted by the omnipresent Demogorgon. The premise is a solid one, even if it’s a bit restrictive – it may be hard for the creative team to spin a story that actually adds to our understanding of the Stranger narrative rather than just being a fill-in-the-holes cash-grab – and the art is both solid and effective, making this an engaging read thus far. With three more issues to go, however, we’re far from being in a place where we can offer a definitive judgment. Still, this comic is absolutely helping to scratch our Stranger Things itch as we wait, oh so patiently, for the next batch of episodes to arrive. Stranger Things #1 landed on September 26, and the fourth issue is expected to ship on December 26, 2018. It is published by Dark Horse Comics. This brand-new rerelease – seriously, this Blu-ray just hit store shelves on October 9 – of the cult 2009 movie burnishes all of the special features from the previous DVD and Blu-ray versions along with a whole bevy of original extras. The main draw for most will probably be the 2K scan of “the original film elements supervised and approved by director Michael Dougherty,” but, for our money, the real action’s to be found in all the newly-added featurettes on the writing, filming, post-production, and post-release cult following of the movie, along with the inclusion of the various tie-in short films that Dougherty created both before and after Trick ‘r Treat’s release (one of which we embedded in our original HHN 2018 write-up). And, oh, yeah – did we mention that one of the four Days of the Dead short comic stories is thrown in for good measure, as well? 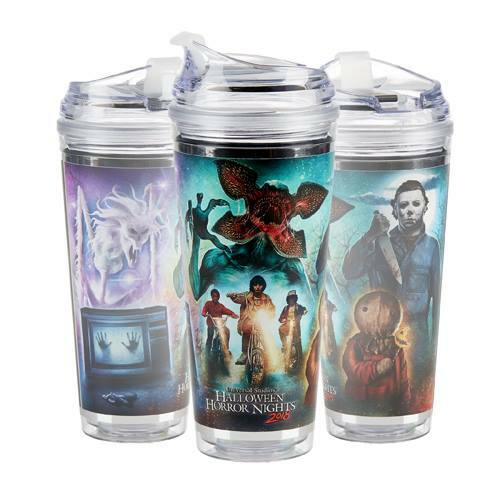 We can’t think of a more appropriate Halloween gift to yourself (besides heading to HHN once again, of course). Oh, Halloween – is there a more convoluted franchise in cinematic history? Here’s the deal with this month’s Halloween: it is being positioned as a direct sequel to and continuation of the original movie (also called Halloween, incidentally), which released 40 years ago. 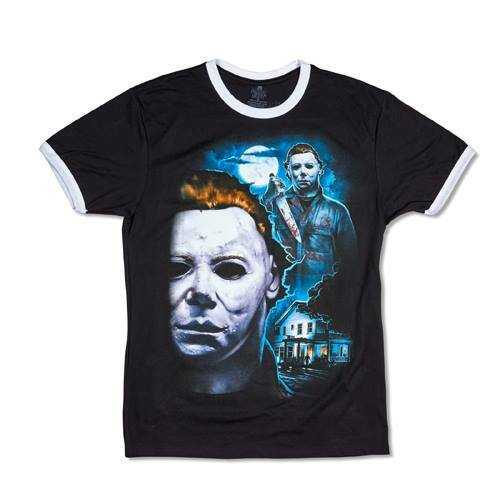 This, of course, means that all of the other nine installments – ranging from 1981 to 2009, including 1988’s Halloween 4: The Return of Michael Myers, which Universal used as the basis for Halloween Horror Nights 2018’s haunted house – are being written out of continuity, but this should come as no surprise to longtime fans; this year’s entry represents the fifth timeline the franchise has pursued (for a full explanation of this bizarre phenomenon, check out our write-up). Why rewrite the series history again? Simple – the new filmmakers, who are being joined by Halloween creator and music mastermind John Carpenter, wanted to retain the 1978 original’s gritty, (more or less) grounded tone, and having the iconic Michael Myers pop up and be resurrected from the dead time and again would do much to undercut this more-realistic approach. Although we have yet to see the film, the trailers and marketing campaign look to be dead-on, and early buzz has been rather strong – this just might be the best movie in the series yet. 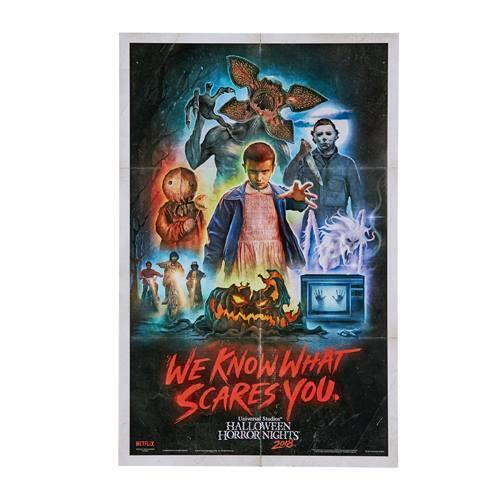 Halloween (2018) releases on October 19 and is distributed by Universal Pictures. 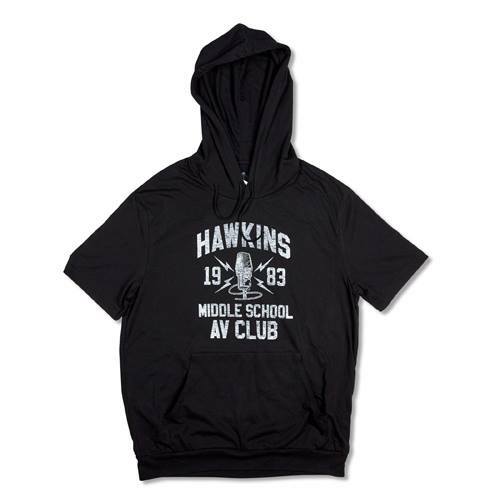 This “official behind-the-scenes companion” to Netflix’s hit TV series may seem like your average tie-in book, replete with cast and crew interviews and production photos, but it’s caught our eye in one key way: its design is absolutely consistent with the throwback ‘80s ethos of the show, right down to its scuffed, dog-eared look. 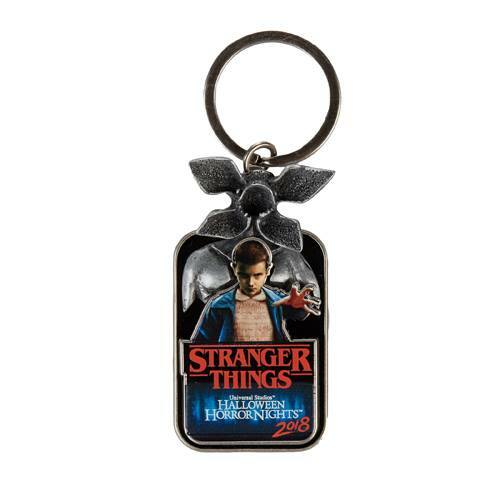 Even better, hidden amongst all the obligatory contents seem to be a few genuine gems, including: copies of the earliest drafts of the first teleplays and the original pitches that the Duffer brothers, the creators and showrunners of Stranger Things, made to Netflix executives; a map of the fictional Hawkins, Indiana, with “clues” to the Upside Down’s topography; and a series of hidden Morse code messages that enterprising readers can decode to reveal various secrets. When combined with the comic series – and the prequel novel, which should arrive sometime early next year – we should be getting our full retro fix for the foreseeable future. 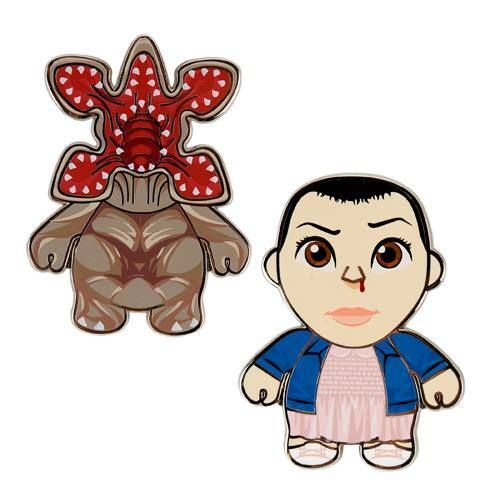 Stranger Things: Worlds Turned Upside Down will be published by Penguin Random House on October 30. During Halloween Horror Nights, there are quite a few of the regular attractions running – and since they take a backseat to the horror thrills and chills, they are often walk-ons. The Simpsons Ride, which has long been a Horror Nights mainstay, will not be included in this year’s lineup. Please note: if you purchase an HHN Express Pass, it works on the rides in addition to the haunted houses. Universal provides free event guide maps at the front of Universal Studios Florida for all guests, so you don’t have to worry about bringing your own. 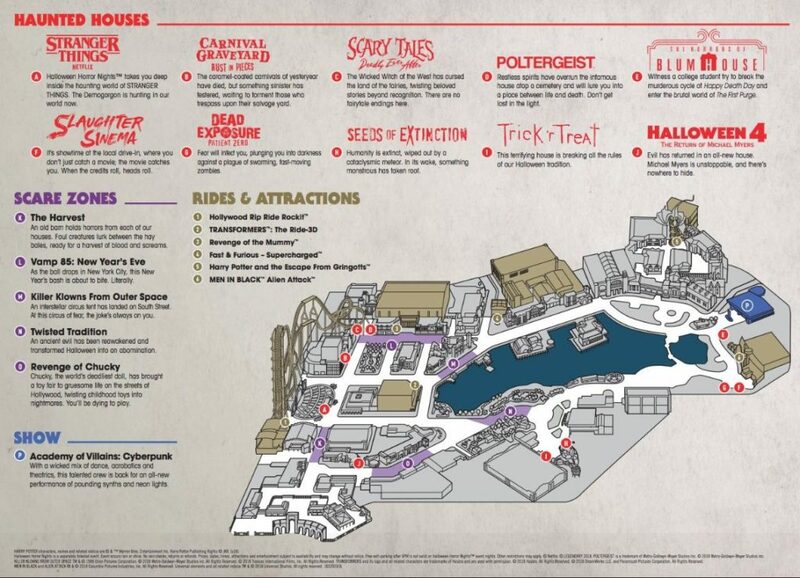 We simply provide this example to help you plan and get a sense of the Horror Nights layout before setting foot in the fear-filled park. 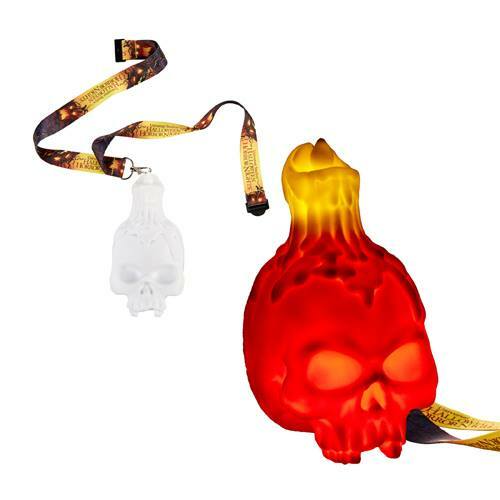 This year, Universal has a bevy of exclusives and extras for its various annual passholders (though that hasn’t stopped the company from taking away – or otherwise modifying – some of the previous years’ benefits, as well). As in the past several years, Universal is allowing annual passholders the chance to gain early entry to Halloween Horror Nights on select nights; unlike previous years, however, there are some restrictions. Here’s how the process works for 2018: APs, along with one guest, will be eligible to enter the event starting at 4:00 pm, with three specially-designated haunted houses opening thereafter – Dead Exposure: Patient Zero (at 5:30 pm), Slaughter Sinema (also at 5:30), and The Horrors of Blumhouse (at 5:45). (This early-access period ends at 6:30, the official starting time of Horror Nights.) Additionally, that night’s first performance of Academy of Villains: Cyberpunk will have a roped-off seating area exclusively for passholders (and their plus-ones). This “Scream in Early” is only available on four dates (September 14, 15, 21, and 22), with guests only able to choose one of them to attend. On top of that, APs must reserve their spots beforehand, and you better believe these early-access nights fill up quickly. Don’t worry, though – we’ll share the RSVP form on Twitter and update this page as soon as it’s released. UPDATE (2:08 pm, 08.29.18): the sign-up form is now live! You can find it here. One final, fine-print-esque note: both you, as the annual passholder, and your invited guest need to have valid admission to HHN. For the first time ever, Universal is getting some of the personnel behind Horror Nights (we don’t know who beyond the fact that they’re “select show directors”) together for an exclusive question-and-answer session with its APs. Like the early-access privilege above, attendees will get to select one night from a series of dates (September 28, 29, and 30) and then, afterwards, will be granted early entry to a designated house before the event opens up to everyone else. Guests will need to check into the Pantages Theater (the home of the Horror Make-Up Show) starting at 4:30 pm; the Q&A panel runs from 5:00 to 6:00. Also as before, the slots will be filled on a first-come, first-serve basis. We’ll share the RSVP form both on Twitter and here on this page once it’s up. 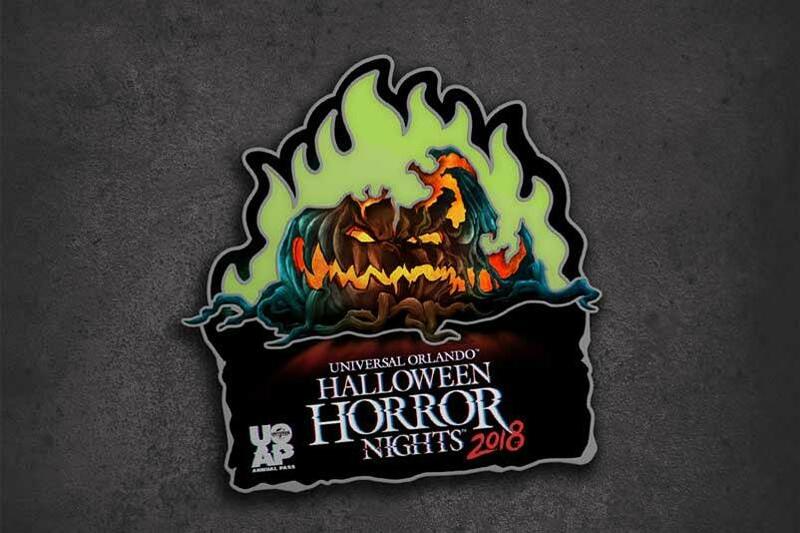 Universal Orlando annual passholders have access to a special collectible button (featuring an in-joke that only diehard fans and/or APs would get) and an exclusive pin and t-shirt. The button – the second in Universal’s passholder series – is free and can be picked up anytime throughout the month of October at the Guest Services locations at World Expo and Marvel Super Hero Island (while supplies last, of course). 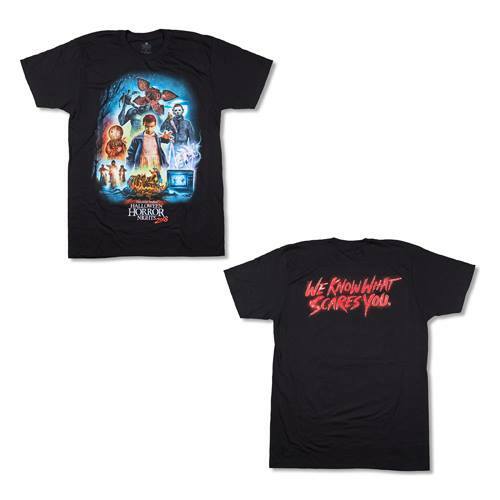 The pin and shirt cost $11 and $27, respectively, before tax, and can be found at either the Halloween Horror Nights Tribute Store or the Universal Studios Store inside of Universal Studios Florida. 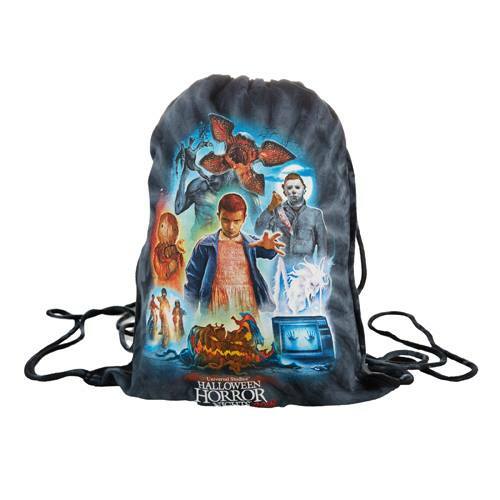 Finally, annual passholders are entitled to discounted rates on everything from HHN tickets and tours to merchandise. You can see our complete guide to Halloween Horror Nights admission for more on most of these. 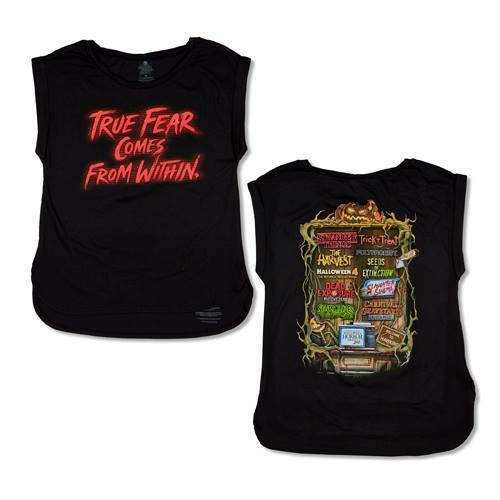 The merchandise for Halloween Horror Nights 2018 offers a couple of firsts, including scare-zone t-shirts and posters. 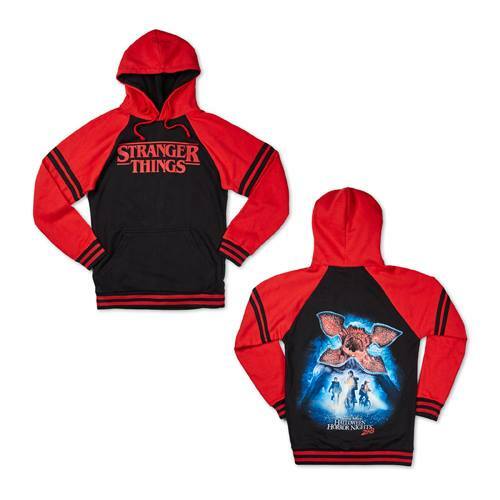 But this being the year of Stranger Things, it should come as no surprise that Netflix’s star TV show dominates many a cup, shirt, poster, and sweatshirt – all of which is exclusive to the event. We’ve collected the most-talked-about topics and questions related to Universal’s popular annual event and deposited them all here for your horror education. If, for whatever reason, you still can’t find the answers you’re looking for, we strongly recommend that you ask all of your questions in our Universal Community Facebook group – with some 50,000 members, you’re going to find all sorts of expertise floating around in there. This event is not Mickey’s Not-So-Scary Halloween Party, Walt Disney World Resort’s annual kid-friendly Halloween bash, set at Universal Orlando; there is no trick-or-treating, and there are no characters dressed up in cutsey outfits. 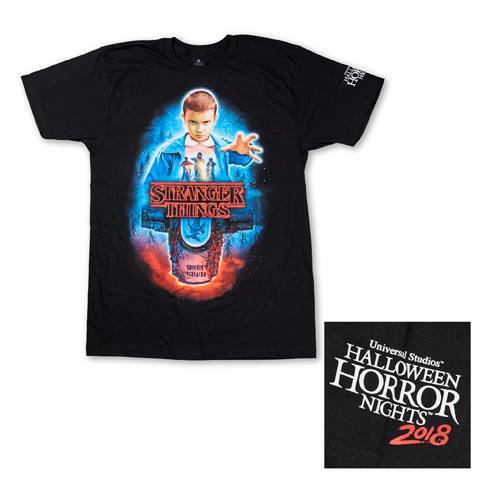 The single purpose of Halloween Horror Nights is to scare you – and, as such, Universal strongly advises that children under the age of 13 do not attend. We tell people that HHN is like a horror movie brought to life – if you like horror movies, you will love Horror Nights; if you don’t like them, you’ll probably hate the event. It’s that simple. Just for clarification, the “children under the age of 13″ statement is a guideline, not a policy, so you can bring your kids to HHN, and Universal will not ask for proof of age. However, be aware that if anyone in your party does not like the event and needs to leave early, Universal has the right not to refund used tickets or change the valid date. Since at least one adult will need to leave with an unhappy child, this could prove to be an expensive gamble. The section above usually leads parents directly to this question: so what can I do with my kids during Halloween at Universal Orlando? For better or for worse, Universal really puts all of its energy into Halloween Horror Nights. The “for worse” part means the resort isn’t organizing anything for kids this year – at least, not in the size and scope of Horror Nights. If you have young kids who want to celebrate the holiday, plan on taking them to Mickey’s Not-So-Scary Halloween Party or SeaWorld’s Spooktacular. Personally, we recommend SeaWorld – its Halloween event is included with regular admission, and it’s a great experience, too. 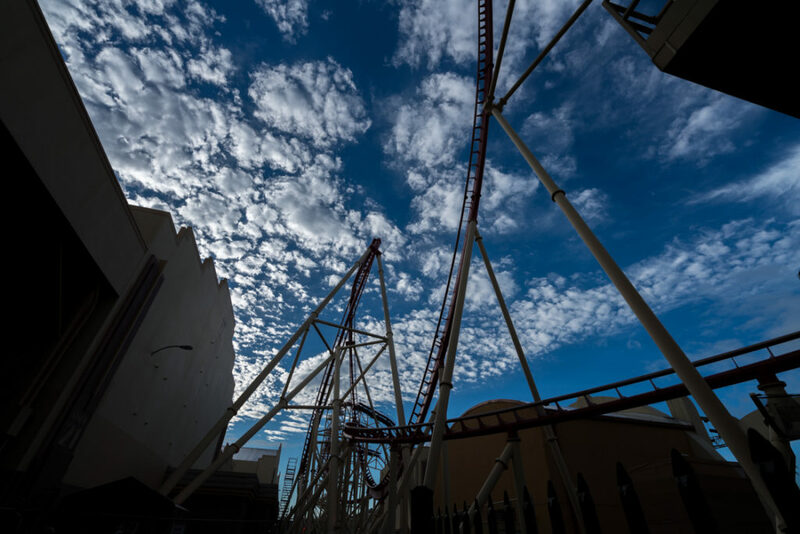 Will my kids get scared visiting Universal Studios Florida during the day? The good news is that Universal doesn’t do a single thing during the day, like it does during Halloween Horror Nights – not one scareactor, not one siren effect blaring, no sudden air bursts, nothing. So, aside from the oversized props spaced out in a few spots around the park, there is absolutely nothing to fear visiting Universal Studios Florida during the day. Honestly, most of the HHN props look more silly than scary in the bright sunlight. Think the props will be distracting? Remind your friends that you’re visiting a working movie production studio, so everyone should expect to see miscellaneous props set out around the park! Does anything happen at Islands of Adventure? Unfortunately, no – other than, perhaps, some very minor decorating, there is nothing Halloween-related at Islands of Adventure. 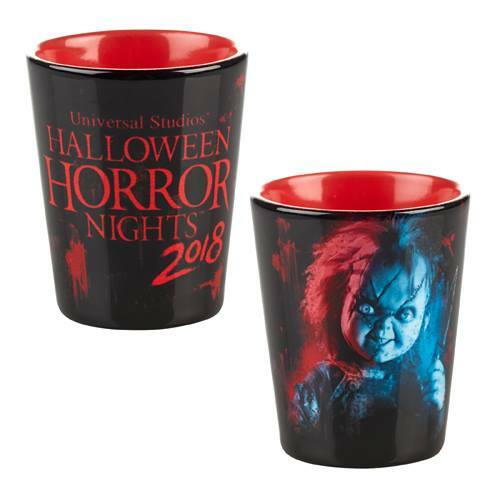 In fact, when you’re inside the park in the fall, you’ll be hard pressed to even know it’s the Halloween season; like we explained earlier, Universal really does put every ounce of its seasonal effort into Halloween Horror Nights. I wanna learn more about Halloween Horror Nights! That’s good, because we have so much more to share. Follow the links at the bottom of this page to view our expert advice regarding admission, Express Passes, first-time visitor planning, and more. If you just want to get more of a “feel” for the event, check out our HHN 2013 video playlist on YouTube – you can experience the atmosphere of the event and see exactly what the scare zones looked like from that year. Last but not least, we have an entire community of Universal and HHN fans discussing the event right now! When you’re done here, join us for vacation planning and more in our Universal Community Facebook group.